Pilgrims carrying the good news of God's Salvation had beautiful feet. By the New Testament those spreading the Gospels wore sandals. The ancient custom of falling voluntary at another's feet was taken as a mark of reverence. Many who met Jesus were described to fall to their feet. Taking hold of the feet of another was considered an act of prayer. The action of touching a heel had profound meaning. Jacob meant 'one who grabs the heel' or 'heel god' in Hebrew. Images of heels were linked to potential disaster and the vulnerability of humanity. By the time of the New Testament, sitting at someone's feet was considered an act of submission and tachability. Spreading the Word of God across the known world would entail travelling. There is direct reference to Jesus Christ in the New Testament saying to his disciples to wear sandals whilst spreading the gospel. Later in the scriptures he is attributed to a statement not to be overburdened with footwear. Most scholars accept the latter to mean to travel light. 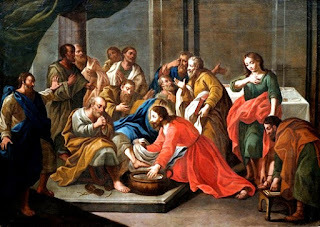 By implication however as shoes and sandals were the preferred costume of the privileged then perhaps the Disciples were being directed to become more accepted by the higher social strata yet by the same token, not to appear too well attired to offend the poor. If sandals were to play an important role in the beginnings of Christianity then sandal makers and in particular sandal repairers would have a contributory role. Many affluent converts were disinherited from their family's wealth yet compelled to spread the WORD, they needed an income for support themself. Many became sandal makers who worked by night whilst doing God's work during day. I am trying to find why feet are beautiful. As n Isaiah 52:7 and quoted in Romans 10:15. Getting a lot of information on significance of feet and I get it it but why beautiful feet to the one who brings the gospel?? To preach or spread the Gospel is good will or preferably, charity. In my place when somebody meets you at the table, the words of invitation are, "Your feet are beautiful," signifying good will.